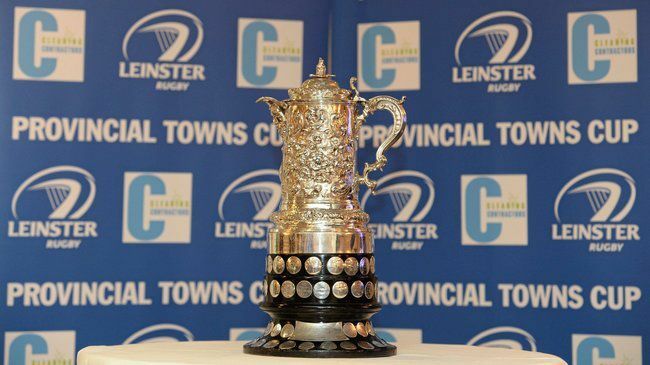 Skerries back in Towns Cup Final. reflecting the tradition of this great but tough Cup competition. Wicklow had come off the back of a great win against Enniscorthy in the Quarter Final and would have been slight favourites for this game. Skerries had to make a very late change with Ross Gordon replacing Michael Cauldwell due to injury meaning Davi Goodman making the switch to outside centre. converted to push the score to 13-3 which was the final score of the half. Skerries with the breeze at their backs continued to take the game to Wicklow. On a number of occasions, Skerries made great inroads past the Wicklow defence but were thwarted with some last gasp defending or a stray pass. Mulcahy was pulling the strings at ten and the Skerries midfield continued to cause trouble for the Wicklow defence. After 10 mins, referee awarded Skerries a penalty for a high tackle which Mulcahy duly converted to push the score out to 16-3. Not sitting back on their advantage, Skerries continued to play the rugby with some great surges from the pack and some great first time tackling by Conn Marrey and Ben Jenkinson. Against the run of play, Wicklow were awarded a penalty which cut the score to 16-6. Having gained territory into the Wicklow half, the Skerries forwards laid the platform with some good phases, Robbie Jenkinson sweeping the ball wide, Mulcahy making the break through the Wicklow midfield and popping off to Goodman who again made the dash to score under the post. Mulcahy duly converted to make the score 23-6 with 15 mins to go. Changes were made on both sides, Dean Hartford replacing Trevor Scuffil, Ruari Woods for Robbie Jenkinson, Eoin O’Byrne for Neil Martin, Ross Halligan for Sean Attley and Eddie O’Mahony in for David Quirke. Wicklow tried to get back into the game but great defence in close by the Skerries forwards keep them at bay. With 5 mins remaining, Wicklow score a consolation try to make the final score 23-11. 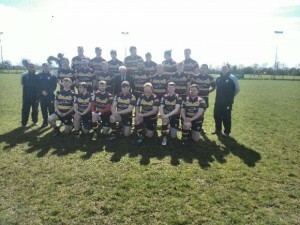 The performance from Skerries was worthy to reach the final. Both forwards and backs combined to bring this one across the line. The front row of Ronayne, Leonard and Martin were instrumental to the steady scrum platform. AJ Sherlock and Sean Attley supporting and leading the charge to Wicklow while the back row of Scuffil, Jenkinson and Marrey defending with some defining tackles. Robbie Jenkinson and the impressive Billy Mulcahy kept Skerries going forward and took the game to Wicklow. Captain Barry Caldwell was impressive in the midfield along with Davi Goodman who put in a man of the match performance supported by the back three of Oliver, Gordon & Quirke who kept Wicklow contained throughout the game.